Persona 5 looks terrific. Especially the animated sequences by famed studio Production I.G, perhaps best known for The Ghost in the Shell anime. In a recent interview with Weekly Famitsu, animator Toshiyuki Kono, who directed those cutscenes, said that Persona 5 director Katsura Hashino first got in touch three and a half years ago. This is the first time Production I.G has collaborated with Atlus on Persona. 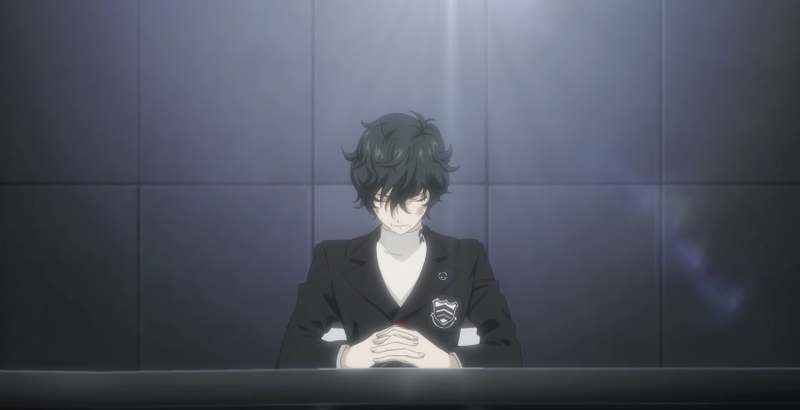 Kono admitted that until then he wasn’t that familiar with the series, but Atlus seemed keen to not only increase the volume of anime sequences in the game, but also the quality of them. Kono is a long time animator at Production I.G and has worked on a slew of different projects, including Stand Alone Complex. The studio not only did the in-game anime sequences, but also the opening anime sequence, which was helmed by Sayo Yamamoto, the director of the anime series Lupin the Third: The Woman Called Fujiko Mine. However, according to Kono, Production I.G didn’t deviate from the way it typically makes anime just for Persona 5, which from a creative point of view is an excellent sign. Later, Kono talked about how Atlus would describe how they wanted certain scenes to play out, and the studio would then do their best to bring that vision to life. “For the anime in the Persona 5 game, we continually put great emphasis on character,” Kono said. “Since the protagonist doesn’t really speak any dialogue, it was incredibly important that we animated him carefully, because it’s only through his facial experiences you are able to experience something,” Kono said. For the in-game scenes, Production I.G is highlighting the craft of animation. For example, Kono explains that the blue flames around the protagonist in this scene are not CG, but all hand-drawn effects. If you like anime, you’ll be happy to know you get to watch a fair bit in Persona 5.